On Saturday we had our Annual Pre-Thanksgiving Party. We spent most of the morning getting everything ready including turning our bedroom into a playroom for all the kids that were attending. 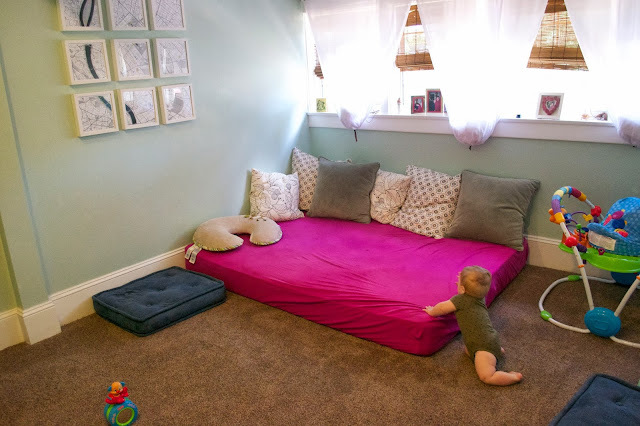 Basically, we wanted a room to house all the toys where nobody could easily hurt themselves/break anything and where we could throw on a movie (there were over 10 kids). We moved our stuff out and put a full mattress on the floor with a bunch of pillows, filled the room with toys and hooked up a TV with the Wii equipped with Netflix. It worked really well (better than expected) and down the line this room will most likely become a playroom once we move upstairs. 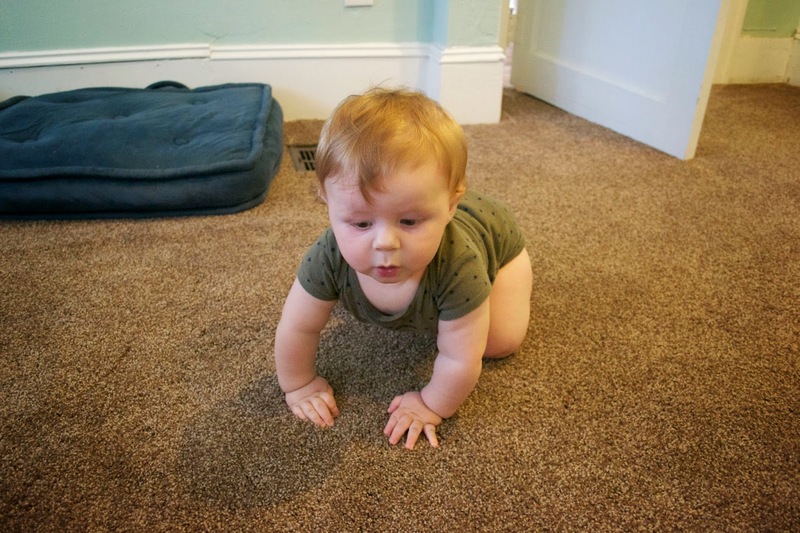 Anyway, we were hanging out in the room after we moved everything around seeing how Will liked it and he must have liked it a lot because he decided that it was a good time to start crawling! This kid is so surprising. One day he can't do something and bam... next day he acts like he's been doing it forever. 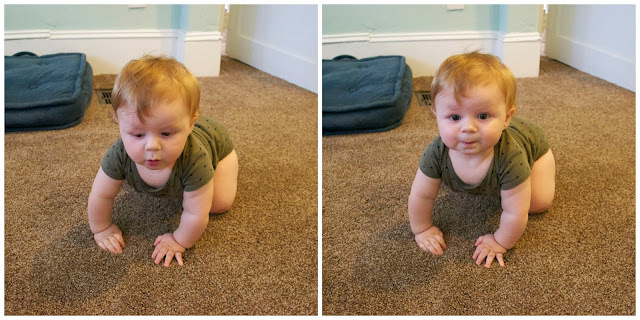 He also has been making a lot of funny faces recently and the combo of crawling + funny faces is pretty awesome. He showed off his new skills to all his friends that night and it must have worn him out because he didn't get up once that night... for the First. Time. Ever! Even better, he's been sleeping 12 hrs straight since then so we have all slept through the night for the first time in basically 8 months.